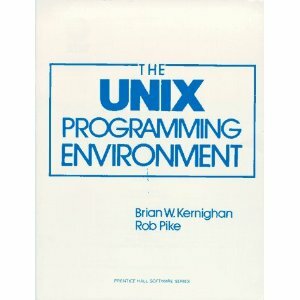 The UNIX Programming Environment, by Brian Kerningham & Rob Pike. This is the only book from school I still read from time to time. It wasn't even a mandatory one: just a suggested reading for the computer science lab back in '89. The title is somewhat misleading: it's not about programming as much as about philosophy. I can actually say that this book has somewhat shaped my way of thinking. It's worth reading even for people that doesn't work on unix machines: the Bladelogic Network Shell is based on these concepts as well.